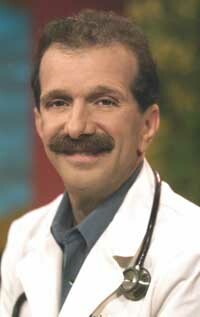 Well-known radio program host and author Dr. Zorba Paster will return to the Sun Valley Wellness Festival this month. His lecture at the Sun Valley Inn on Saturday, May 28, "Cracking Your Longevity Code," will provide insight into how to live well and live longer. Paster is a radio personality, broadcast journalist, author, university professor and practicing family physician. His weekly show on public radio, "Zorba Paster, On Your Health," has 250,000 listeners weekly. Paster takes on-air calls from radio listeners, providing informative diagnoses, busting medical myths and providing medical solutions to a host of day-to-day health challenges, including fitness and aging, pain and depression. His seemingly encyclopedic knowledge of medical issues is always mixed with an infectious laugh and deep sense of compassion. Paster is a personal friend of the Dalai Lama, having first met him in 1974 when he became interested in Tibetan Buddhism. He is currently working with Dr. Mehmet Oz and others on the "Breathe Free Tibet" campaign to bring needed diagnostic tools to the Himalayas in order to treat ethnic Tibetans, one of the most vulnerable populations in the world to tuberculosis. Paster believes optimal health is composed of five unique and interrelated spheres of wellness: physical, mental, family and social, spiritual and material. "The people who are the healthiest are those who find balance in those five spheres," Paster said in an interview. "We will talk about parts of these five spheres and identify which areas you need the most improvement on, so that you can unlock your personal longevity code." Paster is clinical professor in the Department of Family Medicine at the University of Wisconsin School of Medicine and Public Health. While in Sun Valley, he will speak to doctors, nurses and other clinicians on the topic of "clinician burnout." "Burnout is pervasive in 30 percent of clinicians at any one time, perhaps for a week or for several months," said Paster. "Burnout is not easy to recognize and affects the most dedicated individuals in a profession. It is marked by a loss of enthusiasm for work. "We will work to define burnout, discuss how it affects home life and professional life, and how to treat or prevent it," he said. For more information see the Sun Valley Wellness Festival website: www.sunvalleywellness.org. - Clinician Burnout: What causes it and how to prevent it? Friday, May 27, 7 a.m. Location to be announced. - Cracking Your Longevity Code: Your personal prescription for living a longer, sweeter life. Saturday, May 28, 11:30 a.m. to 12:45 p.m. at the Sun Valley Inn Continental Room.